Millions of people love coffee. Millions of others love tea. Some even love both. 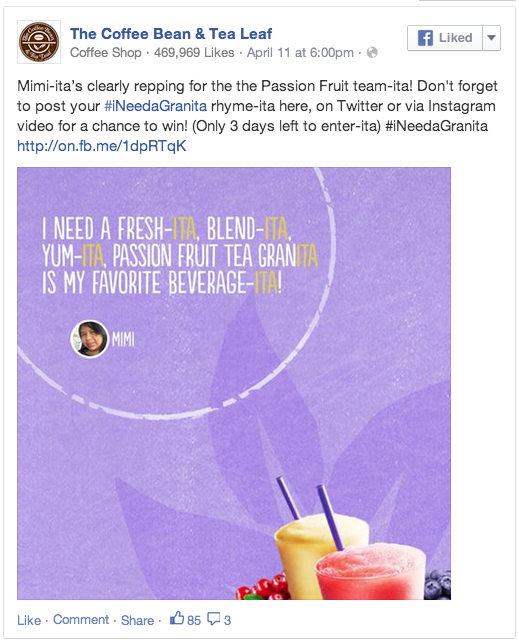 So how do you introduce a new drink nobody's ever heard of into their routine? By playing off the name in a fun, whimsical manner. 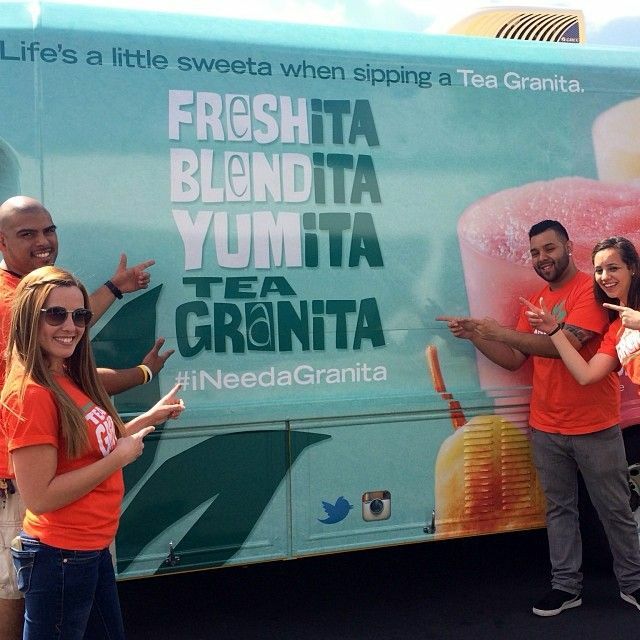 That's how we introduced the ice blended tea Granita to southern California. What was to be a promotional drink became a permanent fixture on The Coffee Bean & Tea Leaf menu! 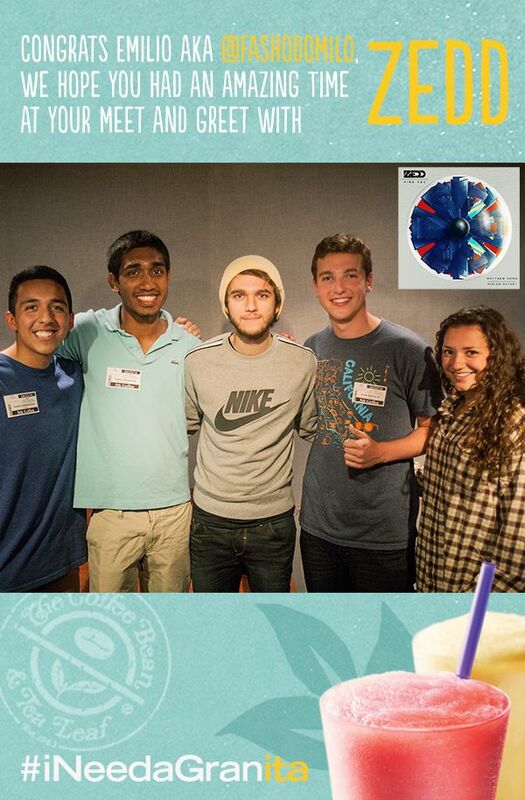 Fans submitted their "Ita" rhyme-itas for digital coupons towards a Tea Granita and a chance to win a meet and greet with renowned electronic DJ, Zedd.